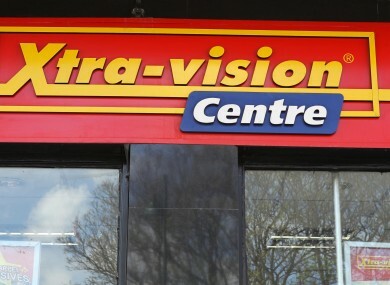 A TOTAL OF 20 Xtra-vision stores are to close on the island of Ireland – nine in the Republic and 11 in Northern Ireland. Up to 54 jobs are to be lost in the Republic of Ireland. Those affected, however, will be given the opportunity to take up any vacant positions that arise in other Xtra-vision stores where possible. It is hoped that this could reduce the number of job losses by as much as 20. The receivers said that the stores that were to close had been trading at an unsustainable level. The DVD and game rental and retail firm had entered receivership late last month, and employs over 1,000 people in 160 stores across the 32 counties. 58 jobs will also be lost as a result of the 11 store closures in the north. “We are keen to stress that those stores unaffected by these closures will continue to trade as normal,” he said. To date the receiver has received a number of expressions of interest for the business and assets of Xtra-vision and said that they were encouraged by this. Email “Up to 54 jobs lost as nine Xtra-vision stores to close in Republic”. Feedback on “Up to 54 jobs lost as nine Xtra-vision stores to close in Republic”.